Rare Blend, as a premier Metro Detroit wedding band, is one of the most trusted names in music and entertainment in Southeast Michigan, due in part to the leadership of Mary Davis, Rare Blend’s bandleader. With over twenty years of experience as an event planner, Mary guides her clients through each step of the planning process with extensive knowledge and a genuine desire to address their needs and create an event that matches their every dream. Read what some of those clients are saying about one of the most trusted wedding bands in the Detroit Area! Rare Blend Band Is The Way To Go! My husband and I recently got married on June 13th. I had found this band on the Knot and saw that their ratings were high. Curious, I sent their website to my husband and we checked them out together. We loved their energy and excitement. So, we contacted them. Mary was so friendly and outgoing. We loved that she wanted to get to know my husband and I personally. She made it a fun conversation. We ended up booking them, not having heard them live. Just from their website. On the day of our wedding, they rocked it out. They played all sorts of songs to entertain our guests while they ate, talked and hung out. Once the reception really got started, they got the room going. The music was phenomenal! The horns were great, the drums, keys, guitar, vocals. Everything was fantastic! Everyone had so much fun! When my husband and I went around to talk to our guests, they all raved about how great the band was, how they sounded awesome and how lively they were. They wanted to get their number for future parties and weddings. Mary even took pictures of everyone on the dance floor and showed them on their Facebook page. That was awesome. Overall, Rare Blend Band was the best choice that we made music wise. We wanted something different for our wedding. Not just your average DJ that plays the same boring songs all the time. Rare Blend Band made our wedding fun even for people who don’t dance. They simply enjoyed sitting back, listening and enjoying the music. This band is the way to go! They don’t disappoint and they want to celebrate with you. If you’re looking for a live band, you need to check out Rare Blend Band and book them! They were so incredible. Thank you Rare Blend Band!! We contacted Rare Blend along with some others with some pretty specific requests. The band leader, Mary, was very accommodating and helpful through the process. With all of the other planing going on, Mary took the initiative to align things for our reception. From the first phone call we felt like we were in good hands. Rare Blend facilitated the MC responsibilities and performed live with a 9 piece band for our wedding. Some may think that is a lot, but honestly the investment takes your reception to a different level. You simply do not find many wedding receptions with that quality of entertainment and a DJ simply can’t match what a high quality live band can do. On our wedding day, Rare Blend knocked it out of the park. As a musician myself, I can tell you the quality of music and vocals is exceptional. Everyone from our wedding raved about their performance. Some said they have never heard a better band in this type of setting. Some said when they walked in for dinner that they thought a recording was on, but only to see the band playing and singing. They certainly enjoy what they do. Every band member was having a blast playing and our guests could feel the excitement. In the planning process, I told Mary that I was not sure if anyone would dance, being such a conservative crowd. However, the dance floor was packed and everyone was enjoying every minute of the night. In reflection of our wedding, Rare Blend really made things extra special. Their services just take things up a level and make it worth the investment. Do not settle for anything less on your special day. Trust me, it is worth it. We echo all of the positive comments about Rare Blend! From the start, Mary was professional to deal with and took the initiative early to coordinate with our venue. She is an excellent wedding planner and from the time we showed up at the cocktail hour until the end of the event, everything ran smoothly and we were glad that Mary had worked with us on a schedule ahead of time. As for the music itself, Rare Blend kept our dance floor full with a great mix of music that kept all generations out there. We would recommend Rare Blend to anyone looking for a top notch wedding band. OMG! This band is amazing! Simply put they are the ABSOLUTE BEST! My husband and I used Rare Blend for our wedding in April. We had a jazz trio play for cocktails and dinner. Then their band–we picked the one with 10 people–got on the stage and the party took off! It was so exciting! People keep telling us that we had the best wedding they’ve ever been at and how much they loved the band. I am grateful to Rare Blend and their leader, Mary, for listening to what we wanted and making our wedding reception totally perfect! Excellent band. Sounded tight. Great song selection. Strong vocalists. Horns were phenomenal. Dance floor was packed the whole night. Would book them again. I am pleased and honored to write a review about Rare Blend. I discovered the band online about three years ago as I was planning my wedding. Since then, they have become a family favorite, playing for three family weddings, including mine. Rare Blend is the best band ever! They play music that keeps everyone dancing. It would be impossible to say which music styles they do best as they stylistically nail everything from current hits to big band to Motown to oldies. The band’s energy and attention to details and timing are unsurpassed. I highly recommend Rare Blend without reservation! Awesome band would use them again. They went above and beyond to make my sons night awesome. Would recommend them to anyone looking for a professional band. Made sure everything was perfect. Choose Rare Blend and Don’t Look Back! We had Rare Blend play for our wedding reception. It was the best choice we made for our wedding. Mary was VERY helpful. She answered all questions and gave great suggestions for our special day. Going into this, we did not really know what the timing should be for the reception, Mary helped us with this and the night went more than smoothly. She took photos and share all of them right away, which was really nice to see right after the wedding. The band sounded GREAT. Guests were raving about the band and how wonderful they were, the dance floor was in constant movement. I still have many guests speaking highly of the band. We even had a few song requests and the band learned new material for us. They were very accommodating and very professional. This is a decision that you can easily make and not have any regrets. Just choose them and don’t look back. It will be the best choice you make. We couldn’t have picked better entertainment for our wedding in July! At first we were going to hire a DJ but then my parents attended a wedding where Rare Blend played and couldn’t stop talking about how great they were. And they are! They can play all styles of music–from party classics and favorites to current songs–and really knew how to get and keep all of our guests on the dance floor! We love Bruno Mars, and they rocked “Treasure” and “Runaway Baby”. Working with Mary was absolutely incredible. From the very beginning, I felt like I was her only bride. She helped me through all the planning and then sent me a very detailed timeline. At the reception, Mary made sure that everything we planned was executed perfectly. I felt like my best friend was running the wedding! That’s how close I felt to her and how much I trusted her to run my wedding! My sister and some college friends sang and choreographed a dance as a surprise for me. After the wedding, I found out that Mary worked with them to plan the music and cut down the recording so that the song didn’t run so long and so that they could practice their dance before the reception. My sister couldn’t believe how helpful Mary was! Everybody is still raving about Rare Blend. They put on an amazing performance and seriously made our wedding reception phenomenal! We expected that we would have a great experience with Rare Blend when we booked them, but Mary and the band came through even more than we could have imagined. We were beyond thrilled with Rare Blend and would recommend them to anyone looking for a an incredible wedding band and a truly amazing wedding reception! From the first call that I made to Mary, the band leader, to the final song on our wedding night, Rare Blend Band provided us with nothing less than the highest quality experience! When searching for wedding bands, I did think that I would come across a band as professional and versatile as Rare Blend Band. My husband and I could not believe that we found a band that could play Big Band, Latin, Motown, Disco, Top 40′s, AND Polish polkas and ballads! Our guests practically never stopped dancing thanks to the fabulous music and Mary’s keen sense of the crowd. The talent of the musicians and singers was outstanding. They transitioned easily from genre to genre and were able to please a wide range of tastes and ages at all times. We received countless complements on the 9-piece band that evening and in the subsequent days. We were married in August and we are still receiving comments and complements about them today! Important to note, also, is the caring precision that Mary dedicated to us to make sure that we had the perfect experience. Her joy and enthusiasm is genuine and I found her expertise and advice invaluable. She was happy to spend time on the phone with me discussing our options and preferences and she went out of her way to make sure that every detail was secured and that every request was honored. She was a wonderful person to work with! So much so that I found myself looking for excuses to call her because she was so lovely! If you want to have a wonderful experience, both during the planning process and at your reception, I highly recommend that you choose Rare Blend Band. Rare Blend band did a fantastic job at our wedding reception! We spent a good amount of time trying to find a band that would play a variety of timeless dance music that everyone could enjoy, and they truly gave us exactly that. 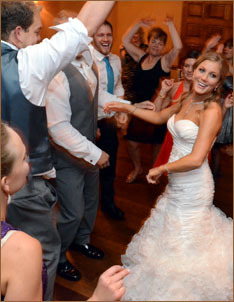 Their music selections were perfect for drawing our guests out on the dance floor and having fun all night. We received so many great compliments from our guests for this band’s performance. We could not be happier with Rare Blend band for making our reception the unforgettable celebration we wanted it to be. Wow what a band what a night. My son did not want a live band but preferred a DJ. Boy am I glad he changed his mind. This band was outstanding, from the ceremony music, to the dinner music and then on to the dancing music. They were the talk of the night. Mary made sure ever detail was perfect and it showed throughout the whole night. The dance floor was never empty. I will never forget this band, they made my sons wedding perfect. Thank you Rare Blend. I was just married this past June and I can honestly and truly say that my wedding would not have been the same without Rare Blend. The best part about this band is not just the fantastic music and atmosphere they create, but also how truly genuine and caring all the band members are. Mary did a truly fantastic job organizing and being an MC for the evening! She coordinated and helped organize everything and even offered suggestions and tips that you may have not thought of on your own. If you are looking to work with an incredible group of people and want some FANTASTIC music at your wedding, I would highly recommend Rare Blend. You can’t go wrong with them!!! We hired the Rare Blend for my daughter’s wedding. They did a great job, kept the momentum going and had a great diversity of songs they played. I am from a big family and I have never had so many people up and dancing the entire night until the last song. They are great!!!!! and Great to work with !! Very professional to work with. Rare Blend was beyond exceptional! Not only was their music, performance, and professionalism top notch, but they went above and beyond to create a truly magical evening. Mary, the lead singer of the band and emcee, did an amazing job of working with me to coordinate music for the slide show, toast, and a flash mob that we performed. The band continually communicated with us via email and phone months prior to the wedding to help make sure that all our needs were being met, and that we would have a truly wonderful evening. The night of the wedding the band was hopping! They did a wonderful job of joining in on the fun, moving along the events at a very nice pace, and even providing awesome intermission music that we got to specifically pick out! Additionally, they took photos all evening for no additional cost, and we now have access to some amazing candid shots! I am beyond impressed with the quality and talent of Rare Blend, and would reccomend them to any Bride and Groom who are looking to truly have a rocking and enjoyable evening. The music was a great mix of old and new, and specialized to meet the desires of the Bride and Groom. Rare Blend was a treat to work with, and I hope someday I have the ability to enjoy their talents again! Rare Blend Hitting the Note!!! Awesome Band, highly recommended!! From the first song of the evening to the very last, the band was a crowd favorite! Classic dance music, along with superb instrumentals and phenomenal vocals led to a perfect evening! Mary was exceptionally wonderful in her M.C abilities to keep the events of the night flowing smoothly. This band made the evening most enjoyable and forever memorable! Great music, Great time. They were on the ball. They know what they were doing. They were professional. Want to work with them in future. Outstanding in every way! They crushed every song! Best band I’ve ever heard and I’ve been to many weddings! They left everyone wanting more. I would 100% recommend them. I cannot say enough good things about Rare Blend. They made our wedding an incredibly exciting event. We loved that they could play so many styles of music. Our guests could not stop talking about how great they were. They were simply outstanding. In addition, Mary Davis helped me every step of the way with the planning. She was friendly, extremely organized and detail-oriented, and always available to answer any of my questions. The band exceeded all of my expectations. I would strongly recommend them to anyone who wants amazing music and a packed dance floor. Rare Blend recently played for my wedding, and they were absolutely FANTASTIC! I’ve heard them perform at many events in the past, but they exceeded all of my guests’ expectations. The party remained high-energy from start to finish, and the majority of our guests stayed until the very end of the reception. Rare Blend also coordinated a unique variety of music for my ceremony, which set the stage for outstanding performances for the rest of the evening. Mary Davis and Rare Blend were one of the highlights of our wedding. Mary was a pleasure to work with from start to finish. She really listened and made a point to understand our preferences, and added her own opinions and insights without being pushy. The band itself exceeded our already high expectations. We really wanted to prioritize good music, so we went with the full, nine-piece band. It was not cheap, but they were extremely professional, and played an energetic set that featured a great mix of motown classics and contemporary pop. The dance floor was full the entire evening and we got compliments about the music all night from guests. This is definitely a high energy band great at keeping guests engaged and dancing. We have nothing but good things to say about Mary and Rare Blend. Fantastic musicians, a ton of fun, and extremely professional. The band leader, Mary, was extremely easy to get ahold of and very helpful. She does a wonderful job catering to your wants and your group’s interests. My family is very Polish and Ukrainian so they made sure to play several polkas, which weren’t even listed on their “song list”. Everyone at the wedding was raving about how awesome the band was and how impressed they were by the variety of music. I would definitely use them again!! Of all the vendors with whom my husband and I coordinated throughout the wedding planning process, Rare Blend Band was the most competent, professional, and courteous. And of the rave reviews we are still hearing from our guests, almost all of them are about Rare Blend Band. Band leader and mistress of ceremonies Mary Davis is EXPERIENCED and COMPETENT in her profession, making for invaluable insight into party planning. She and I talked through the reception itinerary together. She understood my vision, complementing it with helpful suggestions on important details that I had not considered. Then, she typed up the itinerary for review — typical of her organization and attention to detail. When the reception arrived, I was at total peace leaving entertainment to her leadership. From planning to performance, Rare Blend Band is COURTEOUS and PROFESSIONAL. They are accessible/responsive via phone and email. They dress to impress and are friendly toward guests. Two of our friends approached the saxophone player, who kindly engaged them in conversation. Another of our guests, who is a sound technician on Broadway, remarked that the band definitely knew what it was doing, because (among other reasons), Mary stepped out from the band stand to check sound quality as heard on the dance floor. Also, the band’s vocalists are award-winning. If you would like to hear for yourself, though, listen to its sound clips, request to drop in on a live performance, or ask Mary sing to you over the phone – which she will do! Rare Blend Band is ENTERTAINING. We had guests taking to the dance floor even between soup and salad course, because they couldn’t resist the lure of the band’s sounds! Once the dinner hour ended and the dancing officially began, our guests jumped out of their seats and poured onto the dance floor – filling all 2,375 square feet of it! By the time our reception ended at 1:00 AM, there will still about 150 people dancing. 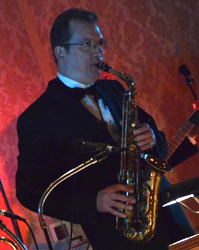 Your band performed at our daughter and son-in-law’s (Julia & Todd) wedding reception at the Italian/American Club in Livonia (May 11, 2013.) We have been meaning to write to you but time has a way of passing by quickly. We want to express our gratitude to you for what we can only assess as an “outstanding” performance during the entire evening. Not that we had to be told, but we have lost count of the number of our guests that have told us how very pleased and delighted they were with the entertainment that you provided that evening. They are STILL talking about it! Very little in life rises to enduring and memorably high standards. However, Rare Blend exceeded our every expectation on a day that was one of the most special in our lives. This will never be forgotten. It is quite clear that each of you has received from Almighty God a rare ability and desire to create beautiful music, whether with voice or with instrument. So, we thank each of you for your high musical standards and capabilities, your friendliness and professionalism, your agreement to learn “My Wish” for the Daddy/Daughter Dance, and for all the great selections that you delivered flawlessly. Because of our heritage, we especially liked “Al di La”, and the “Tarantella”, but each piece was stellar. We wish you continued success and should we ever be asked for a band recommendation, we will certainly recommend Rare Blend most enthusiastically! Rare blend played at my wedding and as soon as the music began I said “wow!” They were incredible. We had so many people dancing and having a great time. I received numerous compliments from the guests about how much they loved the band. My wife and I have no regrets about hiring this band and we absolutely recommend it them to any engaged couple. Don’t get a DJ or a Band, get Rare Blend. Having Rare Blend play at our wedding was the absolute best. Mary is super friendly and easy to work with and made the evening, from set up, introductions to first dance, partying and tearing down as smooth as clock work. The power blew out (not RBB’s fault) for a few minutes, but the band kept on going a cappella, simply amazing. Being a musician myself, I can highly recommend this fun and talented group! Dear Mary, First of all I want to thank you very much for the fantastic job that you did at my daughters wedding on November 17th. It could not have been better. I really appreciated you going out of your way to learn and play some songs that had special meaning to our family. A real testimony to you and your fellow musicians is the fact that the dance floor was completely full throughout the night – and even up to when you played the last song. You left them wanting more. That is the way it should be. The calls I received in the ensuing days after the wedding always mentioned just how great the evening was, but especially what a wonderful job the band did in selecting the music. I remember a year ago talking to you about this. At that time you told me that you like to have the band on the same level as the people dancing. This provided ‘connectivity’. At the same time you felt it necessary to venture out throughout the evening onto the floor to ‘assess the crowd’ as you put it. Quite frankly I thought that was a great sales pitch. But now I fully understand why you do it and how you adjust the music to fit the audience. I remember when my daughter and wife started this wedding process. I told them that the band had to be good because it was the last thing that the guests remember before leaving. With that said my guests left overwhelmed as to how fantastic the evening was. Rare Blend is an Incredible Band! Rare Blend is an incredible band! My husband & I used them for our ceremony & reception. Everybody danced all night & had an awesome time. Our friends still talk about our band. Our experience was perfect! We wouldn’t have changed a thing! My husband and I weren’t able to see Rare Blend Band prior to booking them for our wedding, and we hoped that what we heard on their website was an accurate representation of their sound. We were thrilled when their live performance was better than we expected! They could play every style of music and had us on our feet all night long. Everyone had such fun! We couldn’t have been more satisfied with our decision to book Rare Blend Band. Great group of musicians. Always enjoy hearing them play. 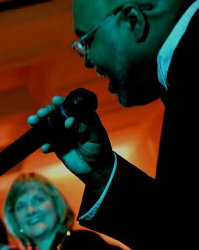 Rare Blend Band keeps the party swinging with their talented and professional singers and musicians! Mary is very accommodating and the perfect MC for a fun and festive evening. They were so much more fun than a DJ. We highly recommend Rare Blend Band! Great band! Loved their sound. Vocals and horns were excellent. Got rave reviews from our guests. I highly recommend them! Rare Blend Exceeded Our Expectations! At first, Eric and I thought we’d have to hire a DJ for our reception to stay in our budget but then discovered that Rare Blend was not as expensive as some other wedding bands we checked out. In the end, the money spent on the band was totally worth it. Rare Blend was incredible! They exceeded all our expectations! Everybody’s still talking the amazing time they had at our wedding. I’m so glad they were available for our wedding! The best decision Craig and I made for our wedding was having the Rare Blend Band play for the reception! Music was the one area where we spent the most time discussing our options–DJ vs. Wedding Band vs. Budget. We ended up sitting down and deciding what aspects of the wedding were most important to us. As we went over the weddings we’d been to in the past few years, we realized that the music and dancing were what we remembered the most. We’d seen a couple band and many DJs. Our best times were at the receptions with the wedding bands. So we started looking around and picked the Rare Blend Band. Overall Review: The band made the reception! They played like an hour and a half straight before taking a break! They packed the dance floor! Mary was so helpful before and during the reception. Everybody at our wedding loved the Rare Blend Band! Rare Blend did such an incredible job for my brother’s wedding over Labor Day weekend. I was completely taken back by the musical selection and absolute talent from the band. Everyone at the reception had a great time and was raving about the music from start of the reception through the days after. Thanks for sharing your awesome gifts! Mary – Kudos to you & everyone else in Rare Blend! We were so pleased with your services & entertainment. All of our guests raved about how wonderful you are! Thank you for providing such wonderful entertainment on our special day. We were pleased to see so many wonderful pictures on Facebook shortly after!…Thank you again for making our wedding day so special. Rare Blend is simply the best wedding band in the Detroit area! Our wedding reception was amazing, thanks to them. From the booking process to all the help and advice prior to the wedding to the great music and dancing on the day of the wedding, Mary and her colleagues made the entire process easy and worry free. Matt and I couldn’t have been happier with our entertainment choice! All our guests were on the dance floor all night, even the ones that normally don’t dance much. We would highly recommend the Rare Blend Band to anyone looking for something unique, exciting, and memorable for their wedding reception. You will not regret your decision. Booked Rare Blend Instead of a DJ! My fiance and I were going to book a DJ for our reception but then saw Rare Blend at a friend’s wedding last weekend and booked them instead. We had no idea that a wedding band could make such an amazing difference. These guys are great! We’re so excited! I booked Rare Blend for my upcoming wedding and can’t wait to hear them again. They played for my cousin’s wedding last year and I couldn’t believe how much fun it was to dance to live music. Mary is also great to work with–easy to reach and helpful! Rare Blend is a fantastic band!I have listen to a lot of music at weddings but have never enjoyed the evening as much as I did when Rare Blend sang for us.OUT OF THiS WORLD! thanks so much! Really enjoy this band. The energy of a live band makes such a difference at a wedding. Wishing all of you continued success! Paul and I just wanted to pass on a huge thank you for the wonderful music at our wedding reception! We were so happy with the songs you played and how great everything sounded. We heard compliments about the band from just about everyone at our party, and I think you’ve made a few fans! We will definitely recommend you to our party-planning friends on the east side of the state. A few personal favorites that I wanted to share: Of course “We’ve Only Just Begun” — I thought your rendition was much better timed than the original! I absolutely loved your harmonies on “September,” and I thought “What’s Goin’ On” was great too. And I can’t remember who was singing on “What a Wonderful World,” but he really nailed the Louis Armstrong voice! I was dancing with my cousin, and he asked why we were listening to pre-recorded music if we had a band, and I had to point out the singer and show him that it really was live. Please thank your set-up crew also. We had more than a few A/V types, musicians, and radio people at our reception (myself included), and we could not believe how clear the sound was. I know that the museum is a tough space for good acoustics, but it really sounded studio-quality. One of Paul’s brothers (a radio guy) even came up to me at one point and said everything sounded great even though it looked like it shouldn’t. We don’t know what you did or how you did it, but it worked! And finally, Mary, it was so wonderful working with you. I appreciate all of the suggestions you gave to us and all of your patience with our last-minute tweaking. I can tell that you’ve been doing this for a while — you’re so professional about everything. Every time I got off the phone with you, I would tell Paul, “She’s such a great business person!” (And as an aside, having worked and played with other musicians, I know all too well that many musicians are not great with the business side of things, no matter how good they are musically. You, however, are obviously great at both!) Thanks so much again — you really helped make our wedding special! Have been following this band for many years. Excellent musicians and singers. Great dance music. Always enjoy their performances. What Rare Blend offers to the bridal couple as musical entertainment is exceeded only by Mary’s heart and passion for customer service! As a musician myself it was important to me to have legit players at my wedding reception and I spent a long time looking for a band with great musicians. I found them in the Rare Blend Band. We got just what we wanted: great musicians, great music, a great party, a great wedding band. Rare Blend is an incredible band! My husband & I used them for our ceremony & reception. We knew we wanted a great band & spent several months checking out different bands before hiring Rare Blend. We really wanted a band that played great dance music & would be easy to work with. Rare Blend was all that & more. Everybody danced all night & had an awesome time. Our friends still talk about our band. Rare Blend’s leader, Mary Davis, was easy to reach, really helpful, & made sure everything was exactly the way we wanted it. Our experience was perfect! We wouldn’t have changed a thing! We have heard Rare Blend on several occasions and can’t begin to tell you how great they sound, but we have used them on two separate occasions as our entertainment. My sister also used them for her wedding and we all were so pleased with the results. If you are looking for great dancing and a great party, Rare Blend is your band. They kept everyone on the dance floor and everyone is still commenting about it to this day. Rare Blend is the Best! My wife and I hired the Rare Blend Band for our wedding in September. Many of my friends are musicians and it was important to me to have musicians that could really play. When I heard these guys I knew we found our band. My wife did most of the planning and thought Mary was a big help. We were completely satisfied with their services. My husband and I recently celebrated our wedding anniversary. We found ourselves reminiscing about what a wonderful night it was, thanks in part to this band! The level of class and sophistication that Rare Blend brought to the entire reception is something that we will never forget. Our friends and family are still raving about what an incredible time they had. It was a pleasure getting to know Mary during the planning process. Her knowledge and expertise, regarding everything from music selection to the timing of events throughout the night, was beyond compare and helped put me at ease. I honestly can’t say enough good things about her, the band, and their professionalism in general. AWESOME Band! RARE Blend is the PERFECT Blend! These guys were awesome and Mary was a dream to work with from the planning, prep and thru the enitre night of our reception. Their Repertoire went from the Big Band days thru the 60′s 70′s 80s and beyond. Everything we asked for and I think they can play about anything! She was professional but made us feel like family. They truly were the PERFECT Blend for our wedding. They made the night come alive and kept everyone involved from the youngest to the oldest and that was small children to 90 y/o. Everyone was happy. Dear Mary, How does one begin to thank you and the members of Rare Blend Band for an outstanding job? As mother of the bride, I wanted to summarize how pleasant it was to work with you. During the planning phase, it was so easy to ask a question, review an idea and to gain support and guidance. All we had to do was present our thoughts over e-mail and within a day, you would reach us by phone and discuss the plan in detail. Thank you for implementing such a personable, thorough approach. The reception on August 12 at Orchard Lake Country Club was outstanding thanks to your focus on detail and beautiful music. The selections played during the cocktail hour were excellent. In addition, the variety and quality of entertainment for the entire event was outstanding. As Mistress of Ceremony, you are to be commended for presenting a carefully orchestrated evening, one that was warm, welcoming and great fun. Thank you for everything. Thoroughly enjoyed this well-rounded ensemble capable of playing everything from bluesey-jazz to rock to swing. Great choice for a classy wedding. A band that all ages can enjoy! Delighted guests filled dance floor. Was willing to learn song not on play list. Rare Blend is our family’s Band of Choice! Rare Blend is our family’s Band of Choice! My husband and I hired Rare Blend for our wedding fifteen years ago, based on the great time we had at my brother’s wedding. My brother and many of his friends, many of whom were in music school with Mary, used Rare Blend for their weddings based on the excellent musicianship of the band and Mary Davis’ leadership skills and personality. Recently (10/23/2010), I saw Rare Blend again at a cousin’s wedding, and they’ve only gotten better over the years! Once again, the dance floor was packed, and everybody was having a great time! 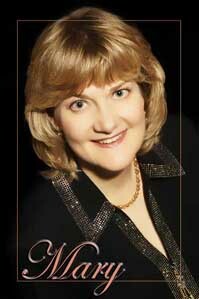 Mary is an amazing bandleader and event planner. She is organized, thorough, generous with her time, and so easy to work with. On the night of our wedding, I noticed at one point that the hors d’oeuvres table was still up and that it needed to come down for dancing. I was just about ready to speak to the catering manager, when I noticed that Mary was already working with the staff to get the table off the dance floor. I remember thinking, “I’m so glad that Mary is here! She’s doing exactly what I would be doing if I wasn’t so busy being the bride!” I was able to relax, celebrate, and enjoy my reception, knowing that Mary cared about the details and success of my reception as much as I did. We were so thrilled to see that our guests enjoyed Rare Blend’s music and filled the dance floor. The band’s choice of music was perfect for our reception, as our guests ranged from teenagers to seniors. We also wanted to be sure that our guests didn’t leave right after dinner and knew that choosing the right band was crucial to this end. We couldn’t have made a better choice! Mary’s expertise and ability to assess the dynamics of the crowd and to choose the right songs to play kept all of our guests celebrating with us throughout the night. If you want a great band, an amazing night of dancing, someone to oversee every detail, you should consider making Rare Blend your “Band of Choice”! An added bonus: Your friends and family will remind you, year after year, about the fun they had dancing at your wedding! Rare Blend and their bandleader, Mary Davis, are the best! They played for my wedding two years ago, and I can’t say enough about how amazing they were. The band was awesome! The dance floor was packed all night long. Friends and family still talk about how excellent the band was at my wedding. I couldn’t have gotten through my wedding day without Mary’s help. Whenever I had a question, she was easy to reach and amazing to work with. She not only answered my questions but also offered helpful suggestions. On the night of our wedding, she did an incredible job of coordinating every detail, from start to finish. I am currently working with Mary on a wedding reception in the Metro Detroit area for my sister and her new husband. They were recently married in Spain and will be having a Michigan reception this summer. My sister asked me to help her with the plans. There was no question about entertainment — Rare Blend will be the band! The level of class and sophistication that Rare Blend brought to our entire reception is something that we will never forget. It was a pleasure getting to know Mary during the planning process. Her expertise regarding everything from music selection to the timing of events throughout the night was beyond compare and helped put me at ease. We gave them a list of songs that we wanted played throughout the night, and we heard every single song on the list. They were able to accommodate requests that my guests made throughout the night with no problem. Mary did an excellent job with the introductions and I felt like the buildup of songs throughout the night was just perfect. We had absolutely no problems with the band’s logistics of setting up/taking down their equipment. Overall, we were incredibly impressed with their performance and overall professionalism. Our friends and family are STILL raving about what an incredible time they had!